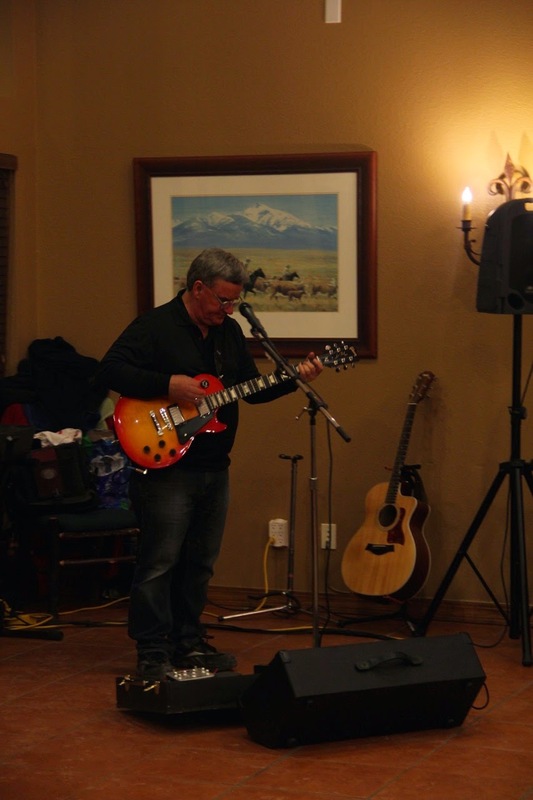 On the 28th of Feb, Bill Massey, one of my colleagues, had a music performance at a club house. He invited me over. The club house was booked by his mother and she had invited some of her friends and there were a few residents of the township. 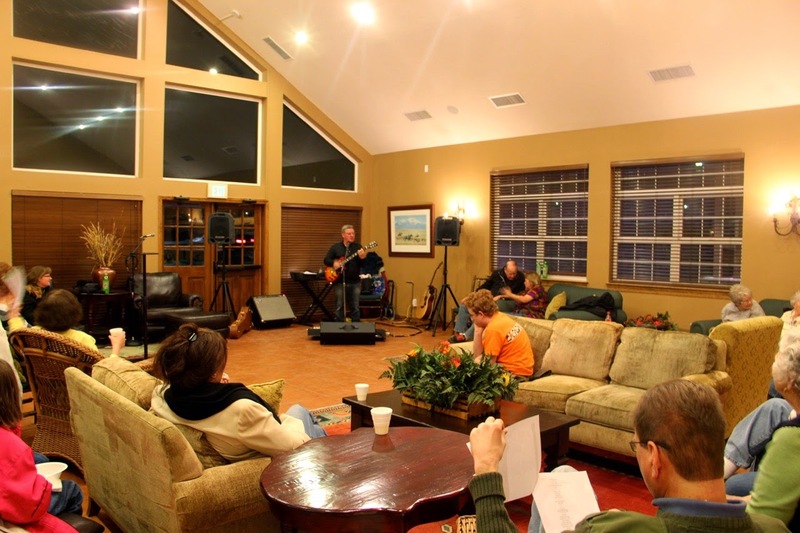 It was a very informal gathering of friends and relatives and thus it was a perfect setup for some good music. 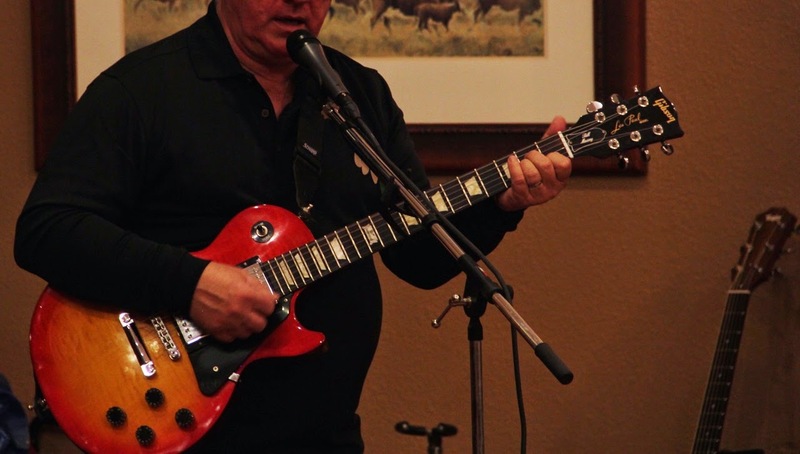 Bill started off with an electric guitar and sang some songs from the 60’s. He sang a few John Denver country music as well. Audience were handed out a list of songs to make requests. The evening was beautiful thanks to the lovely music and an enthusiastic crowd. Bill next switched to acoustics guitar and played some old songs. During the event, I met another colleague of mine, Ray. Ray had apparently taken French in college and hence we conversed a little in the language. We discussed about travel and how he did not think Smart phone was his need yet. It was great talking to him. I also met another old lady who was attending the show and she mentioned to me about her Facebook friend from India whom she has never met. « But I see his pictures and all; they all seem so happy and lively there in your country. » She said. I thanked Bill for a lovely evening. I also had a good chat with his wife. Both Bill and she own a farm. They raise several animals, do some organic gardening and are just retiring as dog trainers. Bill has just finished building a green house out of used window panels that he bought online on something called craig’s list were people sell things that they no longer need for real cheap or sometimes free. We also discussed about the straw bale gardening which seems to be popular these days in the US. I enjoy talking to Bill and his wife as we share the common interest of farming and gardening. At office, I had befriended a very sweet lady from South Korea called Chung Hee. 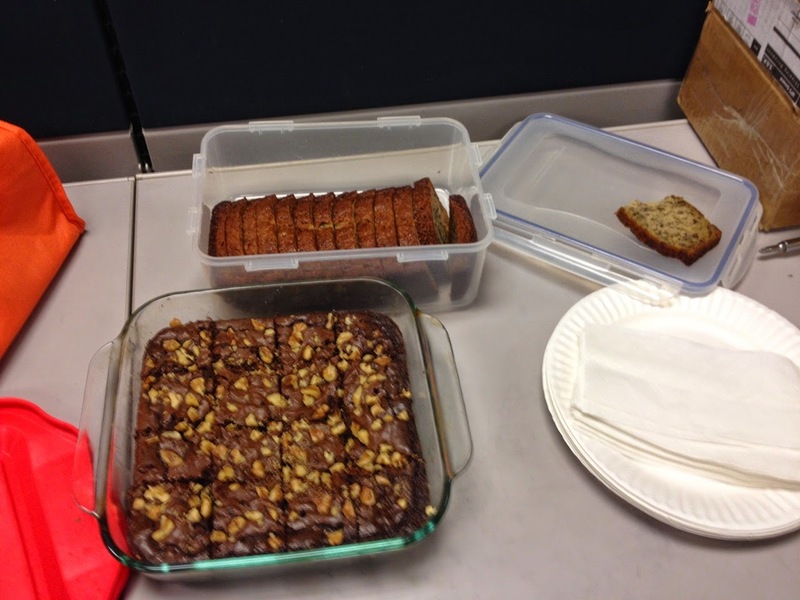 She was kind enough to make a big tray of brownies and banana cakes on my last day at office. 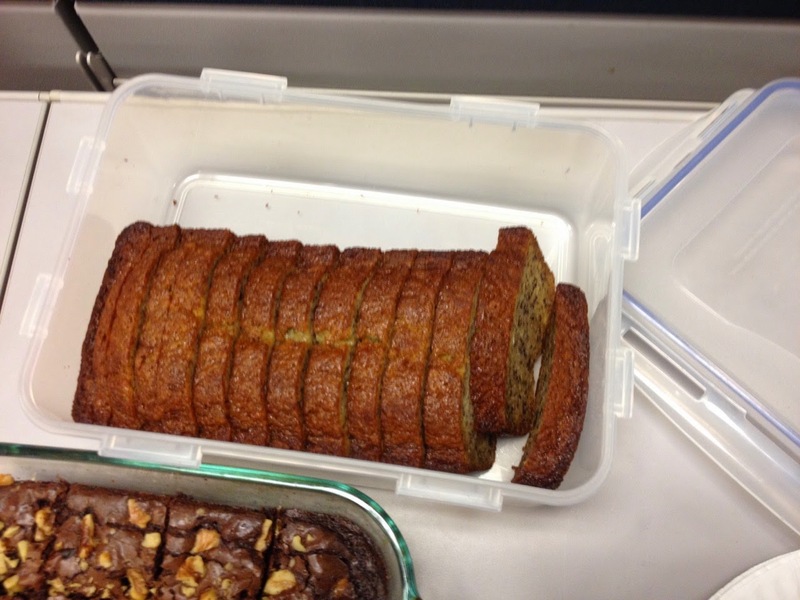 She also made a loaf of banana cake for me to take home for Preethi. I am touched by her generosity. 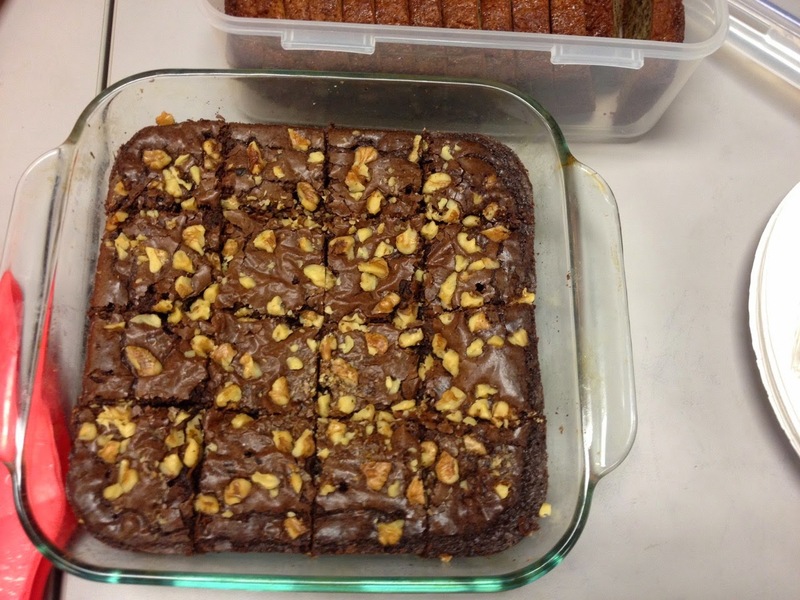 and impressed by her talent to create such tasty food. Cooking to me is no less than an art. These small moments made my stay int he US special.